Cool, old Univox. Keeping it simple with minimal everything. Volume, tone and tremolo are the knobs and that’s it. Input jacks are guitar, accordian, and aux. Old school chrome dust cap on the 12″ speaker. Let’s the high frequencies roll. 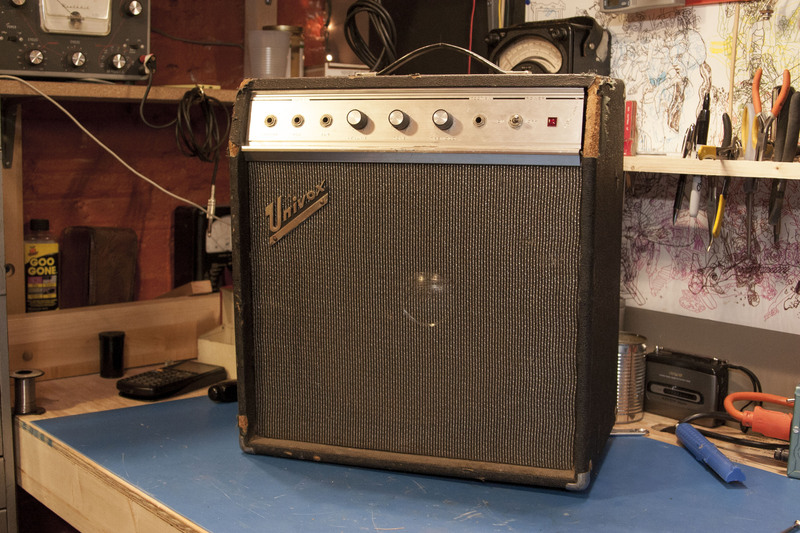 Such a surprise to see but someone has totally rebuilt this amp and has done a totally good job. They even put the isolating washers on the 1/4″ input and speaker jacks. 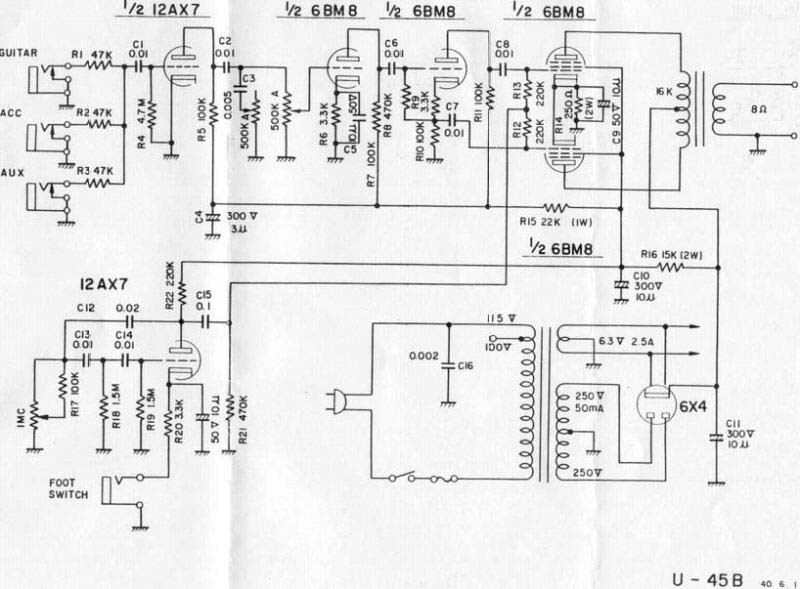 The nut on the tremolo knob had become loose so the knob/pot would just spin around forever, eventually ripping the leads from the potentiometer to the PCB out. 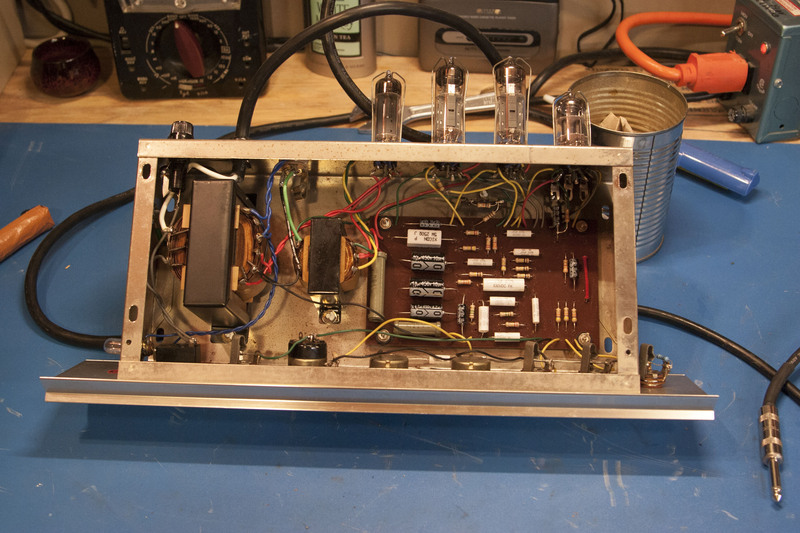 A quick resolder after finding the schematic and this old girl was ready to rip again, with tremolo.